Installation: Mounts on cab frame in designated mounting positions. Includes: Overhead Audio Pod 2879459, Rear Pod 2879514, Sub Woofer 2879825, wiring, mounting hardware and instructions. 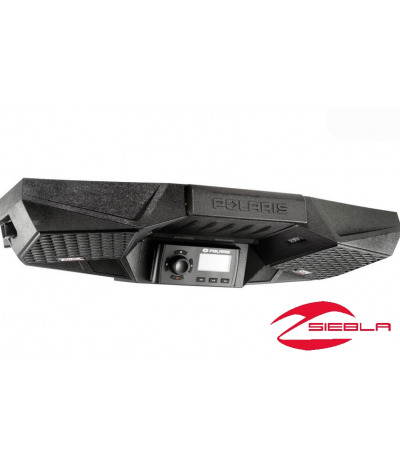 Polaris® RZR® XP 1000 riders can crank the volume on their customized off-road playlists with this MTX® Premium Overhead Audio Pod, which installs easily and pumps out up to 100 watts of premium audio. This Audio Pod, which can be installed in less than 15 minutes, mounts securely in a designated position in the RZR® XP 1000 cab frame. Install the pod, connect the wiring, power up your audio source (not included) and enjoy your personal off-road soundtracks. This RZR® Audio Pod is a fully sealed, injection-molded unit with marine grade components that can withstand the rigors of off-road riding. The audio system includes two 100-watt speakers, a separate tweeter for enhanced audio quality, a 200-watt subwoofer, multiple fully sealed dry storage lockers for an audio source such as a smart phone, Bluetooth connectivity, and a full audio display. 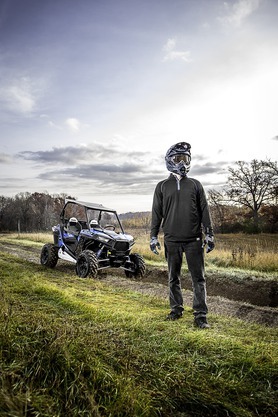 There’s also a convenient LED dome light that provides light for the RZR® XP cab. 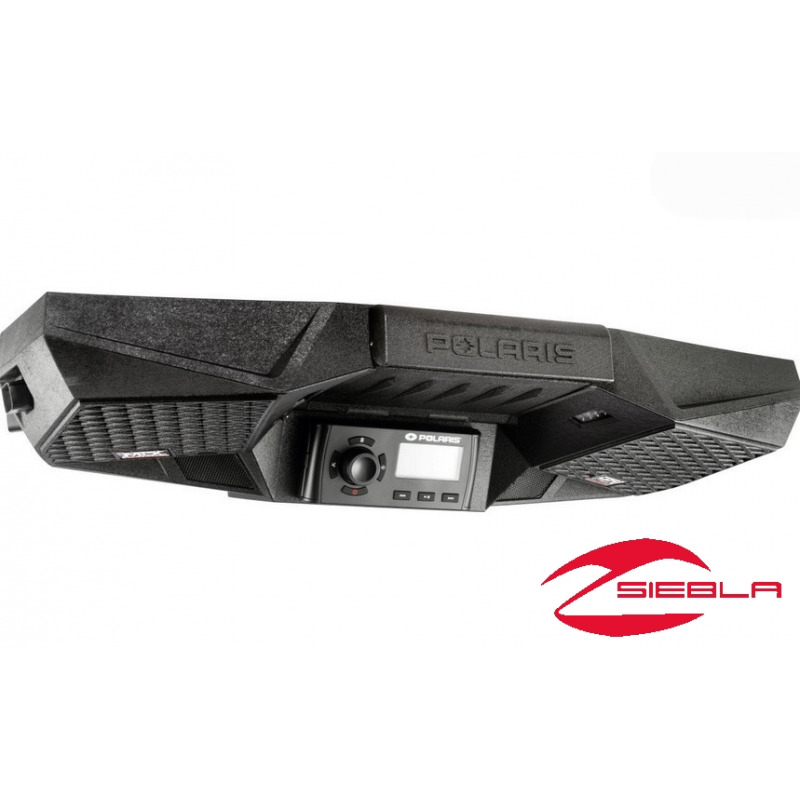 This Audio Pod integrates with RZR® XP 1000 accessories such as roofs, windshields, mirrors and more (all sold separately).